If you read Monday's post you know that I've been trying to add some routine to my summer. For me, summer is the time I can do things I never have time for during the year. And sorry my college age friends its not party, party, party. I like to learn new things, fix things around the house, etc. 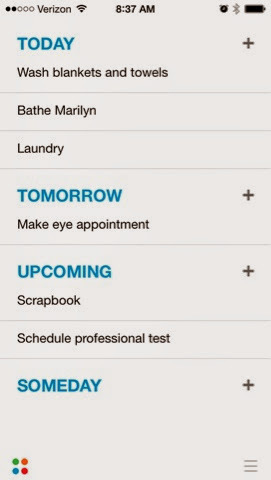 For all of my daily to-do's I typically use the reminders app on my iphone, but I was desperate for something different. 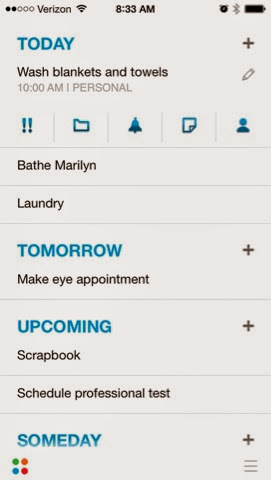 I wanted to organize my tasks by day as well as by importance. After some serious app searching I came across Any.Do. I love the clean layout of this app as well as the organization options. You can organize tasks by today, tomorrow, upcoming, and someday. Each day you also have the opportunity to plan your day. 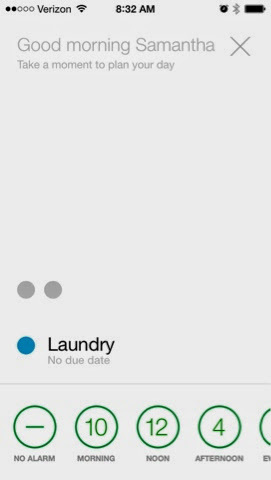 You can give each task a time and the app will send you a reminder. In horizontal view you can see your whole month and as well as how many things you have to do each day. 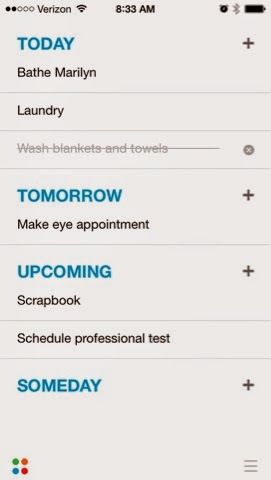 In addition to reminders you can add notes to each task as well as invite friends and mark tasks as urgent. 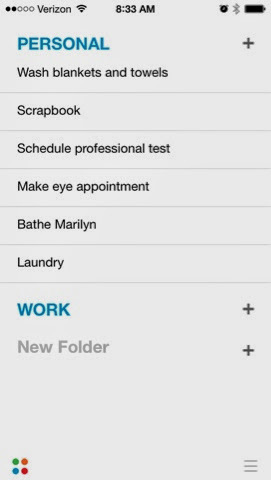 You can organize your tasks by Home or Work and personalize your folders. You also get the satisfaction of crossing each task off of your to do list. 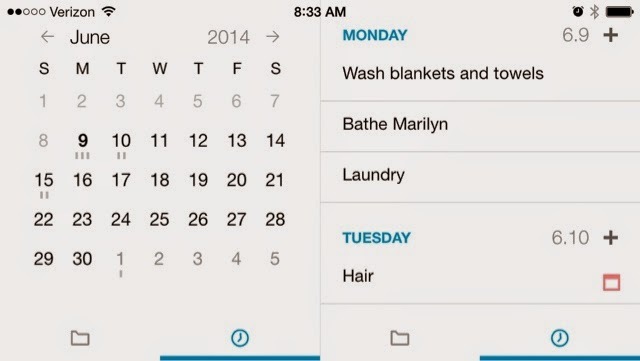 Any.Do is a great way to organize your life.